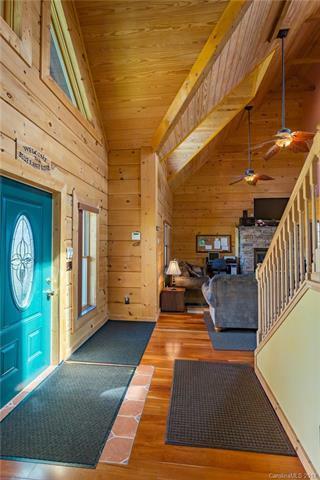 Enjoy the beautiful mountain views from the wrap around deck of this 2008 built log home. 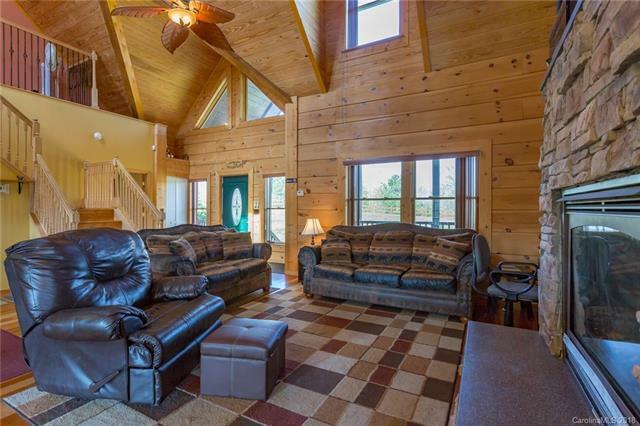 Perfect vacation or full time home if you are looking a quiet & private location. Open floor plan w/ lots of light. Stone fireplace w/ gas logs in great room. Spacious dining and kitchen area island w/ seating. Large master suite with french doors to covered porch. Hardwood floors throughout main level w/ tiled master and guest bath. 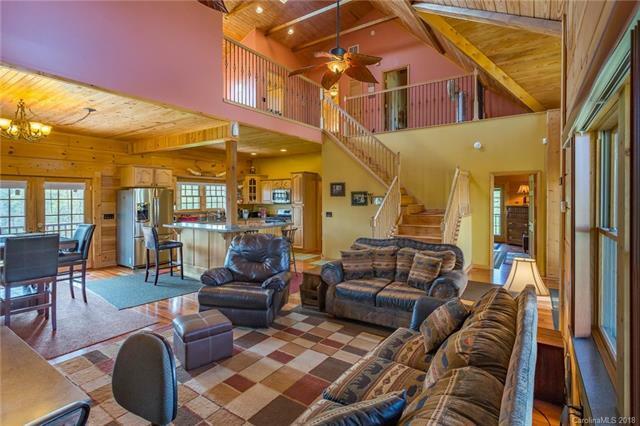 Upper level has loft for office or sitting area, 3 bedrooms and tiled hall bath. Lower levels finished with family/game room area, full bath, laundry and workshop/storage area. Large rear patio w/ a fully fensed grass yard for outdoor activities and entertaining.12-zone automatic sprinkler system, gas/electric h/u for hot tub/pool. Circular, paved & gated drive. 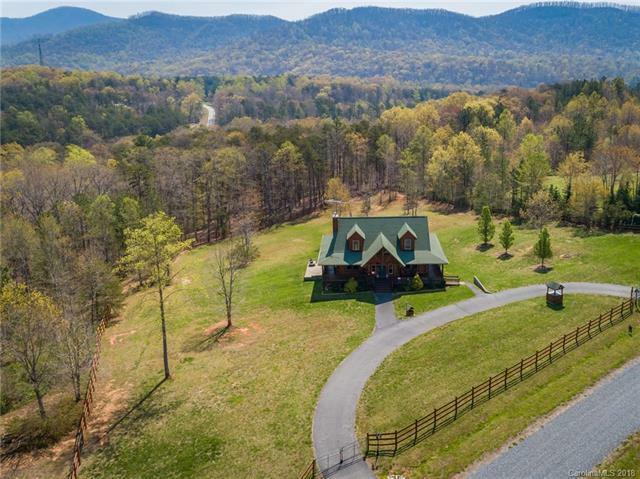 Adjacent lot #15 is also available for additional acreage.